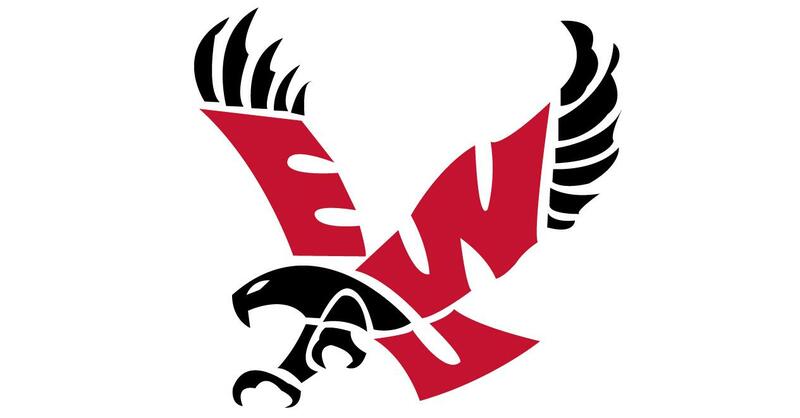 POCATELLO – Bogdan Bliznyuk drilled a late 3-pointer to put Eastern Washington in front for good, sending the Eagles to a 74-69 Big Sky Conference victory over Idaho State Saturday night. Bliznyuk scored 17 points, making him the fifth player in Big Sky history to score more than 2,000 career points. Bliznyuk has 2,013 points. The Big Sky career scoring record is held by Idaho’s Orlando Lightfoot, who scored 2,102 between 1992-94 for the Vandals. Bliznyuk also didn’t have a free-throw attempt in the game, so his mark of consecutive makes from the line stands at 65. The Eagles (16-13, 11-5) earn a sweep of their road trip, winning at Weber State Thursday. EWU hosts Southern Utah and Northern Arizona to close out the regular season. Balint Mocsan hit a 3-ointer with 2:01 to play to put the Bengals (13-14, 8-8) in front 69-68, but Idaho State did not score again and Bliznyuk answered with 1:31 remaining. Jacob Davison converted two free throws and Jack Perry hit the first of two to set the final margin. Perry, a true freshman, hit three 3-pointers and finished with 16 points. Davison added 11 points, while Cody benzel added 12 second-half points for the Eagles. Brandon Boyd scored 23 points to lead Idaho State, with Novak Topalovic and Geno Luzcando adding 17 and 13 points, respectively. Published: Feb. 24, 2018, 8:55 p.m. Updated: Feb. 24, 2018, 9:35 p.m.